This first installment on Indoor Agriculture focuses on building a Grow Light system which runs on a schedule. 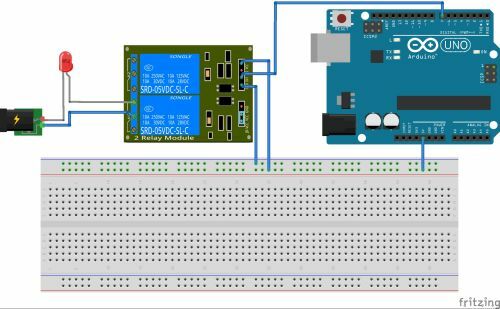 We will use an Arduino Uno to run a relay connected to an LED array, and use a Raspberry Pi Zero W to manage the day/night cycles via serial connection. The day/night schedule should be adjustable. In the past, I’ve used an outlet timer to do this. While this is fine, our Indoor Agriculture will eventually be fully automated. With this in mind, we will pursue a digital solution. Build the circuit as illustrated by the following diagram. Make sure your circuit makes sense for the components you’ve choosen. 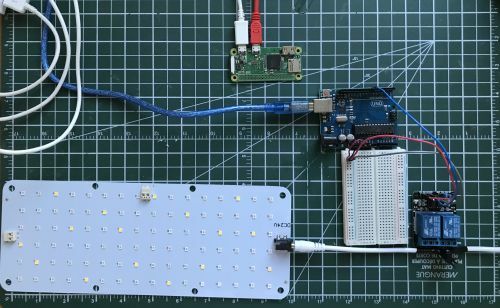 Upload the grow_light.ino program onto the Arduino Uno. Configure the DAY_HOURS and NIGHT_HOURS variables in the .env file. Build a ROS system to manage the lights at a high level.